Citation: Li, Xuansong, et al. GALE Arabic-English Parallel Aligned Treebank -- Broadcast News Part 1 LDC2013T14. Web Download. Philadelphia: Linguistic Data Consortium, 2013. 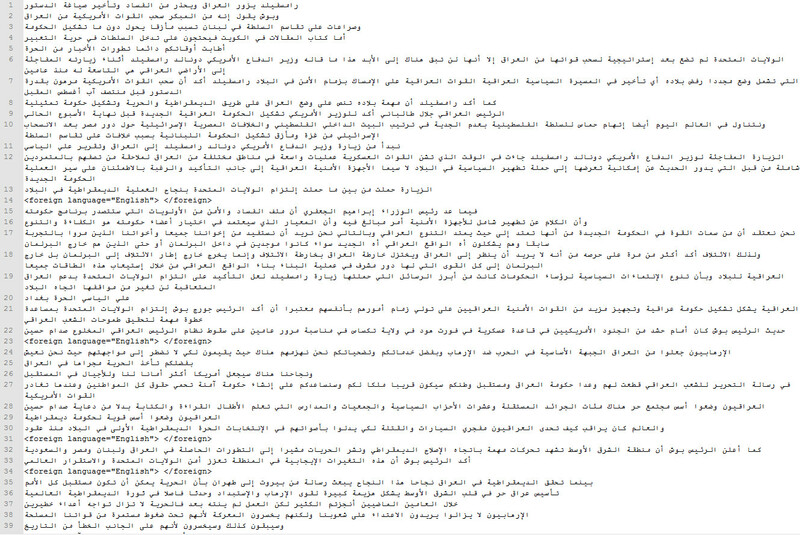 GALE Arabic-English Parallel Aligned Treebank -- Broadcast News Part 1 was developed by the Linguistic Data Consortium (LDC) and contains 115,826 tokens of word aligned Arabic and English parallel text with treebank annotations. This material was used as training data in the DARPA GALE (Global Autonomous Language Exploitation) program. In this release, the source Arabic data was translated into English. Arabic and English treebank annotations were performed independently. The parallel texts were then word aligned. The material in this corpus corresponds to a portion of the Arabic treebanked data in Arabic Treebank - Broadcast News v1.0 (LDC2012T07). The source data consists of Arabic broadcast news programming collected by LDC in 2005 and 2006 from Alhurra, Aljazeera and Dubai TV. 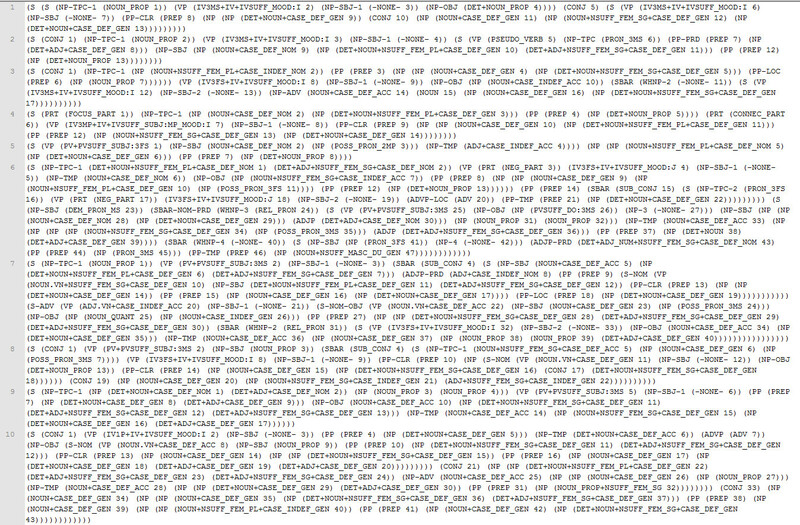 All data is encoded as UTF-8. A count of files, words, tokens and segments is below. 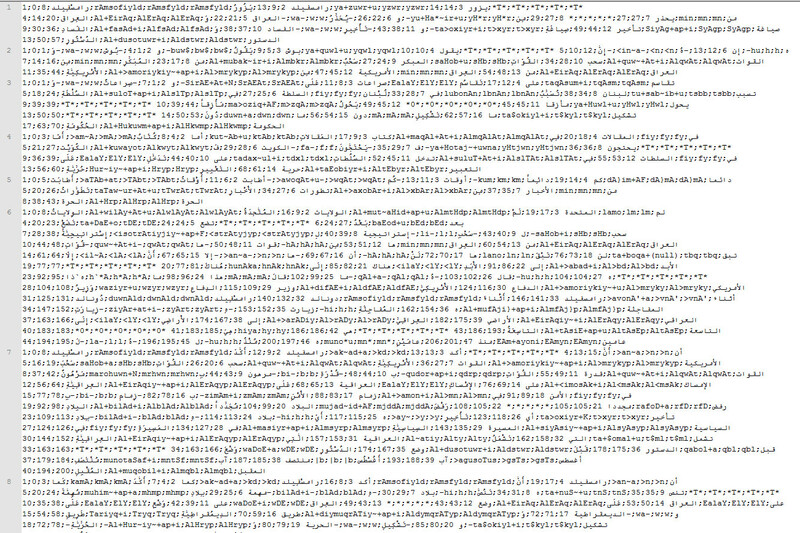 Note: Word count is based on the untokenized Arabic source. Token count is based on the ATB-tokenized Arabic source. This release contains four types of files - raw, tokenized, treebank, and wa. The raw format contains the original Arabic and English sentences without any annotation. The tokenized format is the treebank tokenized version of the raw data which may contain Empty Category tokens (treebank leaves that have the POS label -NONE-). The treebank and wa files are treebank and word alignment annotations on the tokenized files. Please view the below samples.